Lake Erie Council is proud to offer Merit Badge Weekends at each of our three camp properties throughout the year. These weekends feature Merit Badges that fit particularly well with the facilities and structure of camp. 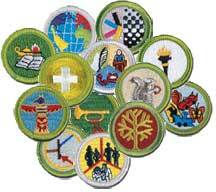 You will have the opportunity to earn at least one Merit Badge at each event. Some badges are paired with others, though most of them are one-badge programs. Price depends on materials, equipment and facilities for each badge (see below for pricing). Scouts are encouraged to sign up with their unit and make a weekend of camping out of the event, though signing up just for the Saturday program without others from your Unit is also an option.